So, you are back from a fabulous honeymoon and you can’t stop thinking about the amazing experience, can you now? Well, we have some great news for you love birds - we have a list of five unconventional honeymoon destinations around Mumbai that are perfect for weekend getaways and can be completed in under 10K! Isn’t that just the inspiration you need for grabbing your bags and your partner and just heading out on a new adventure? These off-beat places are well connected to Mumbai and can be accessed by road, rail or car. Whether you like the hills, beaches or just scenic long drives - we have something for everything! This pristine stretch of beach along the Konkan belt is one of the most beautiful ones and yet one of the most peaceful ones! If you love wildlife, you can also go for dolphin or crocodile spotting! Isn’t that exciting? Located on the second highest hills of Sahyadris, this pretty hill station is within the forest of Dang, which makes it an even more attractive honeymoon spot for weekends. It enjoys pleasant weather throughout the year and is ideal for the summer months. This summer retreat is a beautiful hill station that has many waterfalls, viewpoints and lakes. There are also sanctuaries and forts that you can add to the list! Could we ask for nay more? 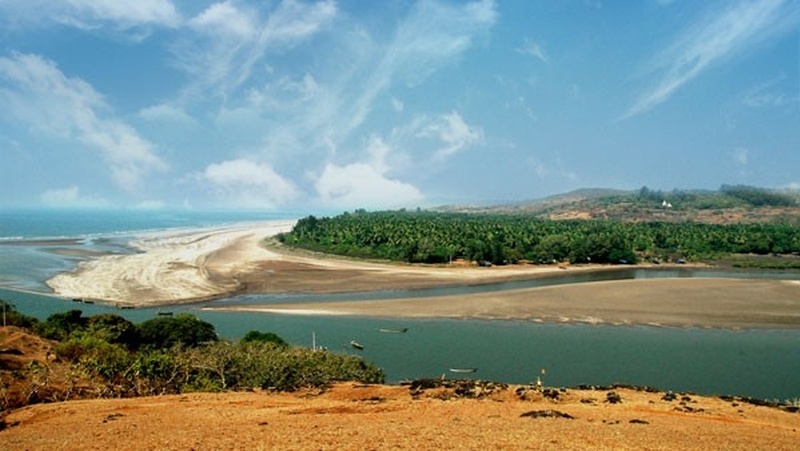 Unwind, relax and enjoy the virgin beaches of Maharastra in this quaint town. A sea fort makes the trip even more exciting and you can treat your taste buds to some lip-smacking seafood. This just keeps getting better, doesn’t it?